Vanessa is a single mother whose recent separation has left her unable to make ends meet, though she works full-time to provide for her three young children. 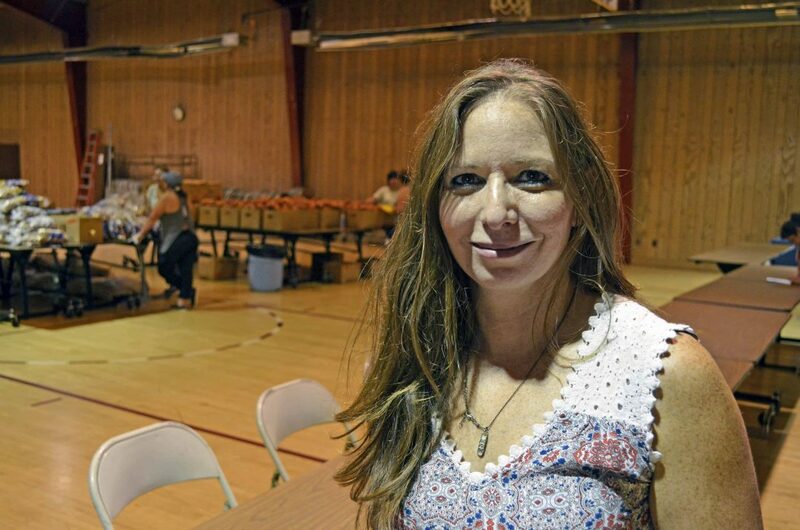 When we met her at our Healthy Families Farmers Market in Dover, it was her first time at a free food distribution. Her children love healthy fruits and vegetables, which they need to grow and succeed, but Vanessa hasn’t been able to afford them for the past few months. “They’ll eat any vegetables or fruits that I put out for them They love them,” she said, “except okra,” she added, laughing. Without food from the FoodBank, Vanessa often finds herself skipping meals or eating junk food for dinner to ensure nutritious food for her kids. Sometimes, she has enough money for canned or frozen vegetables, which have become a staple in the family’s diet. Look around. Hunger is everywhere, right here where we live, and it doesn’t look like you think. It impacts our neighbors, colleagues, and friends, though they work hard to make ends meet. Your support makes a real difference in their lives. Click here to make a gift to help neighbors in need, like Vanessa. All gifts DOUBLED until midnight 12/31.